We've completed the final classroom sessions of 2015. Only a few final projects and exams remain—and some major grading! Please pray as the students work hard to demonstrate their competencies both through oral exams and final projects. Also pray for us as teachers as we seek to use these final hours with the students strategically, both as an assessment of what they have learned and also as an opportunity to shore up what hasn't. Our partners, the Moores, have an exciting opportunity to go home to visit family this holiday season. They are also using the time to visit several potential partner churches. Pray for them that God would keep them safe and healthy as they travel, provide for their budgeted support needs, and bring them back quickly. We'll miss them. Please continue to pray for the discipleship opportunities that we have each week. We treasure our deepening friendships here and long for God to use them in a way that shapes all of us into Christ's image. Thank you for persevering in prayer for us! When Paul wrote his letter to the Philippians, one of his primary purposes was to share his gratitude to God for them. Through the person of Epaphroditus, they had partnered with Paul in his time of need and for the “defense and establishment of the gospel” (Phil 1:6). We too are grateful to God for our church partners. 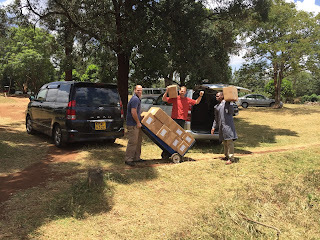 Recently they have stood with us by helping us acquire and ship over 500 study Bibles for use in conferences and other pastoral training opportunities. Thank you! 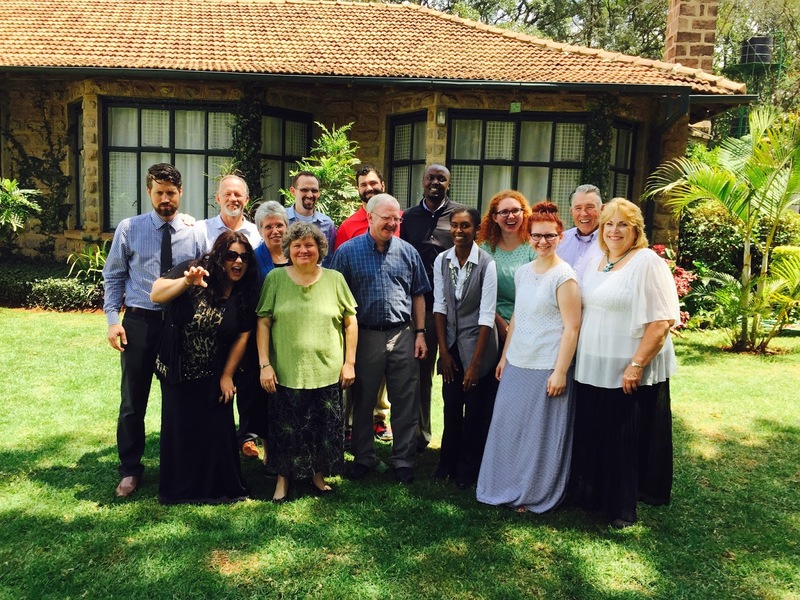 Resources like these are an important part of how we can fulfill our mission to equip Kenyan church leaders for Great Commission work here and around the world. Of course, nothing can replace working alongside these men in ministry, growing together in our ability to apply the unchanging Scriptures to this fast-developing urban context. I would love for you to pray for one such ministry opportunity. Beginning next week and through the next several months, I will be teaching principles of Bible study with a Kenyan friend of mine at our local church. Please pray with us that God would equip his people to love and learn from his precious Word. We have really been enjoying the new location that the Lord has provided for us through the generosity of our church partners. It is much closer to the church, so that reduces my travel time from about 13 hours a week to maybe 2.5. One of the greatest advantages has been that we have been able to host fellow members of EBC who live in the immediate area. Before we considered ourselves fortunate to have even one visitor a month; now, however, we have been able to host someone once a week or more. It's a simple matter of logistics, but God has been using the change to give us opportunities to be with people, and people are the instruments he uses to fashion us into the likeness of his Son. Another opportunity that our new location provides for us is that we can have closer interaction with our team. The members of the faculty have always made some time to discuss necessary work details, but now it is much more feasible to get together as families and enjoy downtime together. 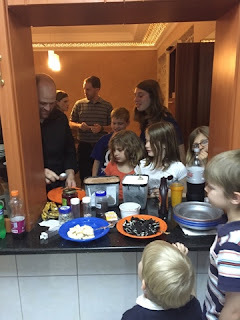 Last Sunday night all 15 of us (6 adults and 9 kids) enjoyed pizza and ice cream at our place. We treasure this time together! Please pray that God would use these relationships for his glory as we seek to grow together as a body, challenge one another in godliness, and team up in Christ's mission to gather a people for his name from among the nations. This last week someone asked me about how our conference last May went. As it happened that very day we as faculty had been discussing one of the outcomes from that time: new student applicants! I responded, "The conference went better than we could have planned. We were able to network with many churches beyond our normal circle. Several men have expressed interest in the school, and a couple have even begun to take classes through that event." God has been so good to grant us these opportunities to serve our city and prepare people for Christ's mission. One of the classes I'm teaching this term is on the book of Acts. The class is part of a foundational core of classes that set the tone and show students what we're about as a school. As we surveyed the book this week, we came across how Paul and Barnabas reported back to the Antioch church and served there between missionary tours. The time has come for the Pittsleys to begin planning such a return journey. We plan to be back in the States for roughly five months (mid-June to mid-November) next year. If you'd like us to plan a visit, feel free to contact me. We have enjoyed two busy months since our last update. First, we had three block-class sessions. I taught the first two (one on Character of a Leader, the other on Colossians and Philemon). Dr. Jeff Straub from Central Seminary taught the third one, on Baptist History. The night before Dr. Straub left to teach in Zambia, a team from our sending church, InterCity Baptist, arrived. They worked hard on organizing our library and in other ministry capacities. Two members of the team were able to help the Weavers continue to prepare the camp land for ministry use. We cherished our time with these friends and appreciated their help. 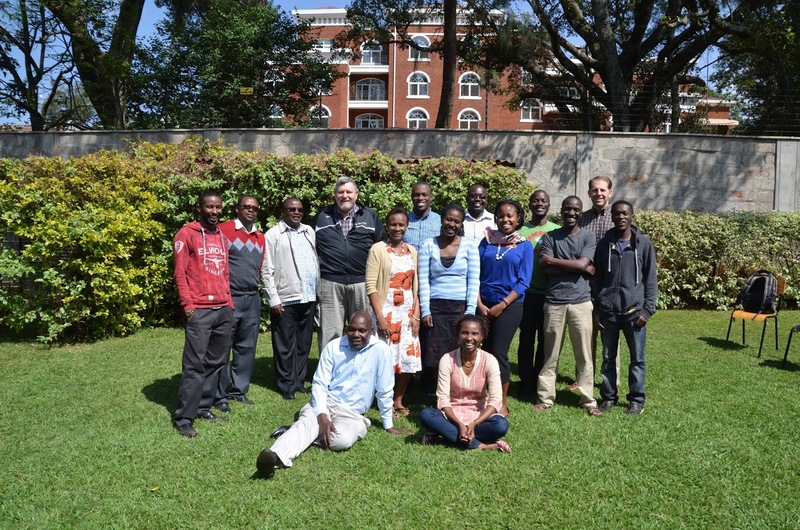 The week after the team from InterCity left, second-term classes began. I am teaching a class on the book of Acts (with a focus on strategies for planting churches) and on research and writing. Please pray that the students catch a vision for the centrality of church planting in the mission of Christ and for the necessity of biblical discernment and clear communication for gospel ministry. We have just completed the first of three sessions of block classes during our inter-term break. I taught a class called Character of a Christian Leader. We spent a great deal of time looking at passages such as 1 Timothy 3 and Titus 1, but we also discussed the process of sanctification as a whole, beginning to plan together as a class how we can help others grow in Christlikeness. The students are continuing to work on projects in the arena of character development through the end of July. This week we have been reading, grading, planning, resting and catching up on the rest of life. On Monday we begin classes again. Please pray as I teach again on Colossians and Philemon. The book has become something of a theme for me for this first half of the year, and this class will cap that off well. 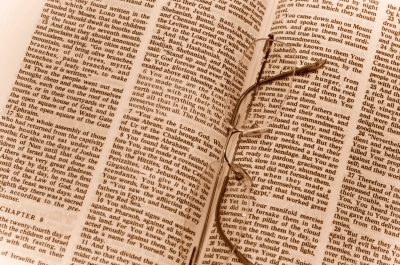 Pray that the word of Christ dwells in us richly as we study it together (Col 3:16). After the class on Colossians, Dr. Jeff Straub, from Central Baptist Theological Seminary, will be teaching a block course on Baptist History, the area of his expertise. I am looking forward to the refresher course on this important topic. There is always so much to learn when we compare the ideas and actions of our forebears with the unchanging Word of God. Emmanuel Baptist Church is also preparing to begin a new series of classes on Sunday mornings before the main worship service. I will be co-teaching a class on suffering. Pray that we are able to equip the saints for endurance and encourage them that "our momentary light affliction is producing for us an absolutely incomparable eternal weight of glory" (2 Cor 4:17). We treasure the privilege of partnering with you in furthering Christ's mission in East Africa. Thank you for praying! As the month of May approaches, I’m directing more of my time to preparing for the Proclaim Conference scheduled for May 29 and 30. Many of you have recently asked me to pass along my current prayer requests, and this conference is at the top of the list. We’re planning to address the prosperity gospel and include a pastor’s track on a biblical philosophy of ministry. Please pray that “the true grace of God” (1 Pet 5:12) would be set forth clearly and that he would be glorified as his Word is honored. One of the workshop sessions I’m planning to teach at the conference will introduce our contacts to a discipleship curriculum that we’re editing for the Kenyan cultural context. The curriculum covers the basics of Christianity, aiming to help new believers begin their journey of lifelong discipleship on the right foot. Please pray for my Kenyan friends and me as we make these edits; also pray that this would be a helpful tool in the hands of our network of Kenyan church leaders. As always your prayers are prized. 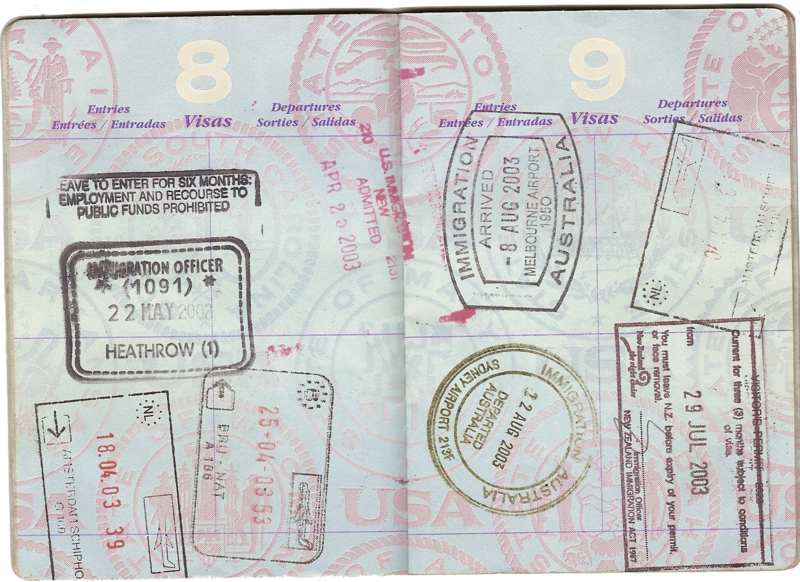 In our own family news, I visited the immigration office Thursday morning to try to straighten out a problem we have been having with Jamin's documentation. The government requirement is that Jenny and the boys all get registered under my work visa. For some reason everyone's application has been accepted except Jamin's. His application hasn't been denied; it has just disappeared. It looks like we'll begin the process again for the third time next week. One answer to prayer was that they granted an extension to his visitor's pass without hassle; this should give us some time for Attempt #3 to play out. Please pray for progress on this issue. I honestly wish this update could end with that mundane request. As we entered Easter weekend, we have been poignantly reminded of the need for the life-changing gospel and the hope that Jesus' resurrection gives us. CNN's website read yesterday, "'It is a very sad day for Kenya,' Interior Ministry Joseph Nkaissery said of the carnage at Garissa University College." An Al-Shabaab attack killed 147 people at the school on Thursday. This is the deadliest attack of its kind in Kenya since 1998. While the attack occurred more than two hundred miles away, we grieve with our Kenyan friends and pray for the progress of peace and stability throughout the country. Please join us in prayer in accordance with 1 Timothy 2:1–7. Last week was a busy one for EABST faculty and staff. Each morning we met from 7:00am to 9:00am to introduce our students to various newer features of our program and to give them an opportunity to improve their rough drafts for major projects due this term. I will be assessing projects for the Acts course, Biblical Covenants, Leaders, and the Latter Prophets. We will all need wisdom and energy to finish this term strong; your prayers are treasured. The faculty are also reviewing our entire curriculum in order to assess how we can best supplement the courses we are using. We take seriously our charge to entrust to faithful men what we have been taught, so we want the programs of study here to reflect that seriousness. Please pray for wisdom in making these programs of study the best they can be. 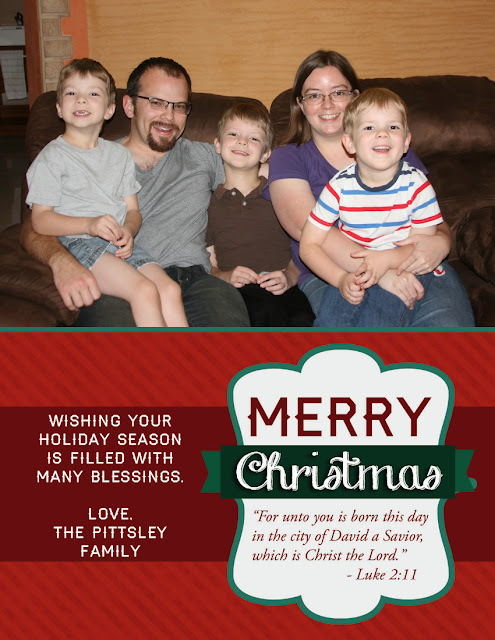 After a week or two of rest during the holidays, we've returned to a full schedule at the Pittsley household. Josiah has returned to his schooling, Jenny to teaching him, and I've returned to my school responsibilities as well. Many of you, through special gifts and notes, expressed your support for us, and we're so grateful for the way you made our Christmas special. The gift of Christ's love was reflected to us in your affection and generosity! Recent weeks have found me preparing for the coming school term in various ways. (1) We've been meeting via Skype as a faculty to discuss administrative issues and think through how best to serve our Kenyan co-laborers with the school. (2) We've been meeting with students and local leaders to discuss how the school can be improved. (3) I've been studying to ready myself to teach. One of the classes that has been keeping me quite busy in preparation is a block class that I've been invited to teach in Zambia. This February, Lord willing, I'll be giving lectures on Paul's letters to the Colossians and Philemon. It's hard to imagine that it's been four years since we first landed there as a family for a year of teaching at Central Africa Baptist College. I'm eagerly anticipating time with my friends there, and the opportunity to teach in that venue again is a treat. I pray that this signals the beginning of an ongoing partnership between our schools. Please join me in praying for my preparation; there's a load of work to do before I go. Pray too for effective ministry while I'm there and for a safe return to my family after that week of classes.